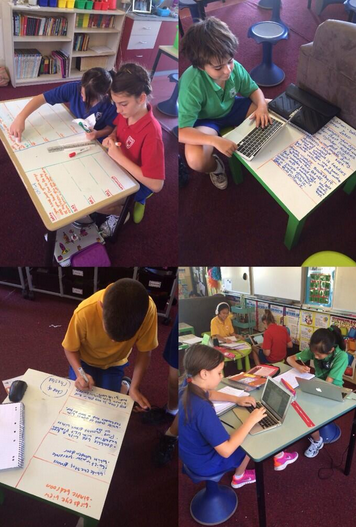 We now have contemporary learning spaces in Years 2, 4, 5 and 6. It has been a transforming journey with so many new possibilities that have evolved. 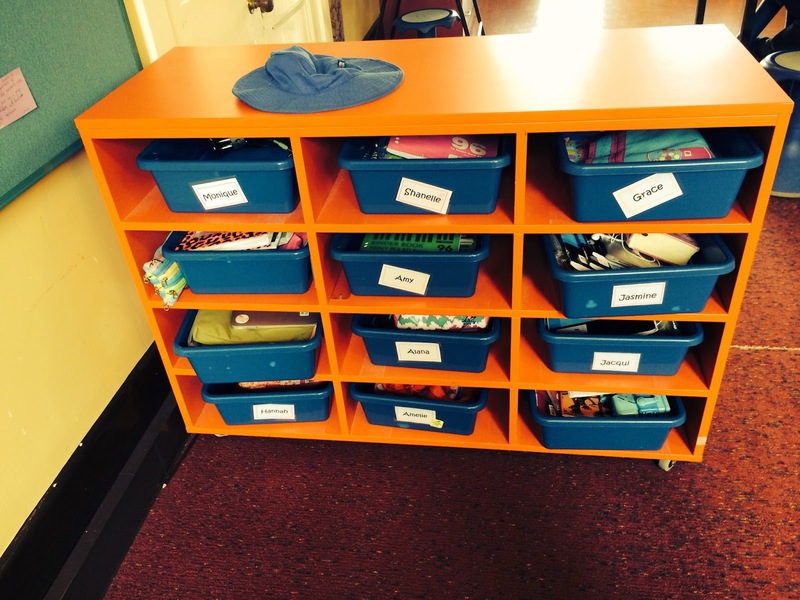 This blog post is a thorough look at our classrooms from the perspective of our staff. ‘Choice’ is key to students thriving in a contemporary classroom. 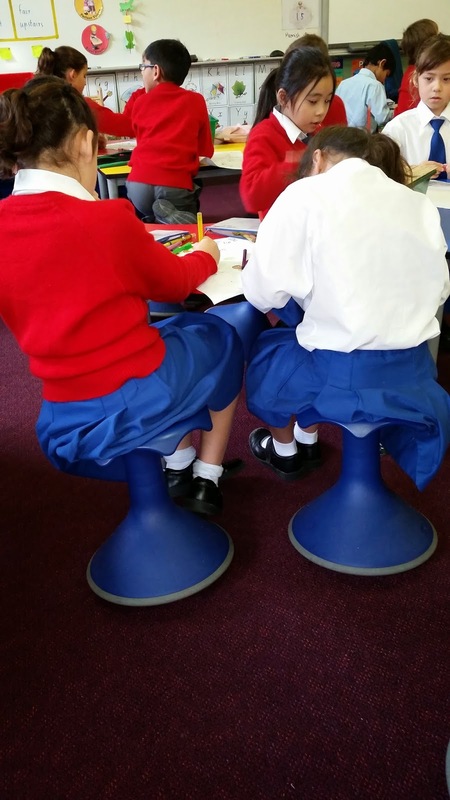 In the contemporary learning space students are given the choice to sit, stand or kneel to learn. With this, also comes choice of where they want to learn within the contemporary learning space. My experience of the Year 2 students transitioning to the contemporary learning space did initially pose a few challenges in regards to the above, especially when it came to making “good” choices of where to learn. To help our young students transition to being able to choose their own working spaces in a contemporary classroom, it was useful to first teach, role model/practice and provide feedback on how students can make good choices when it comes to their choice of learning spaces. In the beginning, I found it necessary to help direct some students to choose appropriate learning spaces. However, it doesn’t take long for students to take ownership of this and become autonomous. Always: Encourage students to choose a learning space that works for them, tell them to have a go and remind them that mistakes are okay. Be flexible. I think an important teacher attribute for teaching in a contemporary setting is for the classroom teacher to remain flexible. Teachers need to be flexible in not only their teaching strategies but also the working spaces they create, so that they are able to provide a stimulating and adaptable learning environment. Even at this young age, students can be involved in creating and deciding different learning spaces. 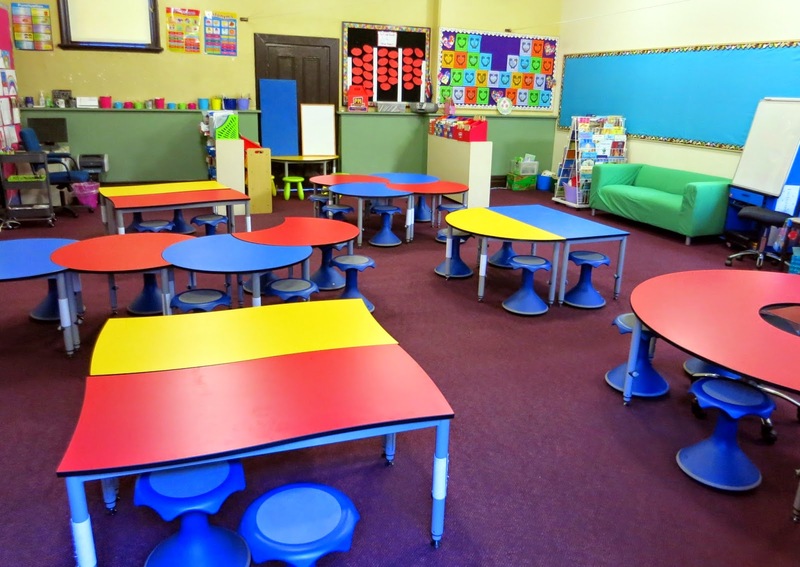 Never shy away from giving new teaching/learning strategies or new furniture configurations a go – you will be amazed at the possibilities! My thoughts on teaching in a contemporary setting. In the short time that I have been teaching theYear 2 students in a contemporary setting, I have noted an increase in students’ confidence, engagement and ability to be flexible. They are more autonomous, inspired, assume greater responsibility of their learning, and are more willing to take risks and to problem-solve. The journey of teaching in a contemporary classroom setting has been extremely rewarding for me as a teacher. It has inspired me to explore new ways of teaching and learning that could not otherwise be achieved in a traditional classroom setting. I have enjoyed my journey immensely and I am excited for what the future brings. Belonging - working in a collaborative environment enables students to be part of their learning process. 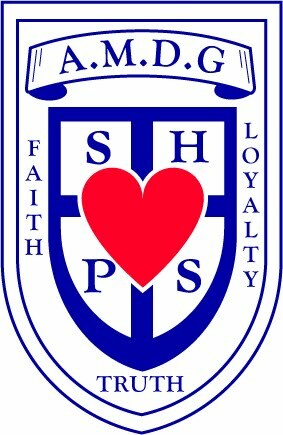 There is a sense that "we are in this together." Independence - this is very visible in our class. Students making decisions about where they will learn best in our class. Obviously the teacher can always coordinate the learning in the class but offering choice seems to be very empowering. 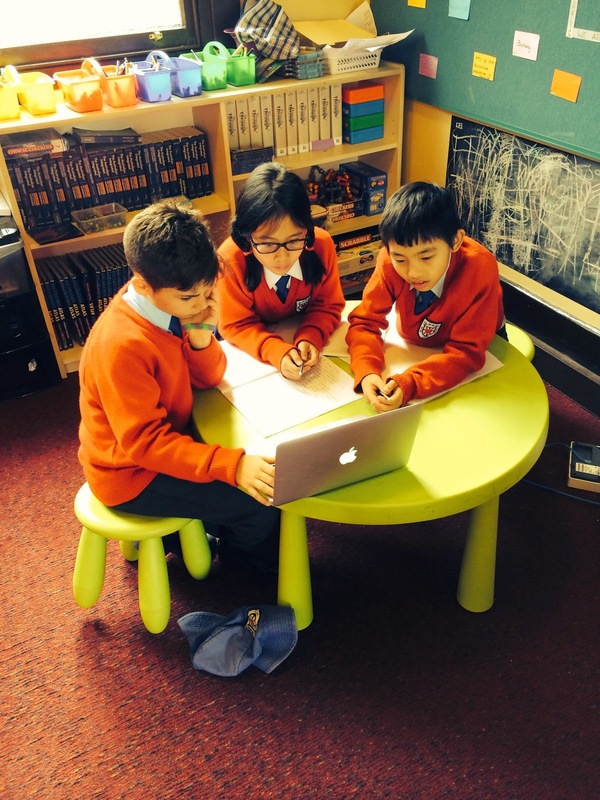 Mastery and Competence - the spaces seem to lend themselves to good learning opportunities. 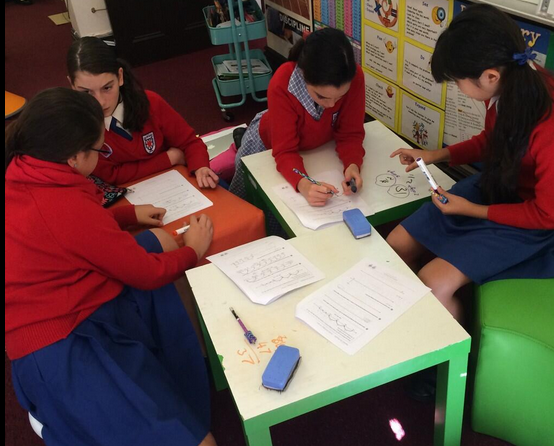 Clearly the teacher's ability to create engaging learning opportunities is still paramount, however these lessons or units of work are often enriched by the flexible space. Generosity - Like any well managed class, a sense of ownership, being part of our own small community and learning with each other is vital. My observations have been that their is greater opportunity for fostering the idea of being part of something bigger in a contemporary classroom. Cool furniture and great technology are wonderful. However visibly effective pedagogy is the glue that binds them both together. Within less structure their needs to be more structure. It's just not always as visible. Being a graduate teacher I often get asked by many visitors to our school how I find teaching in a contemporary classroom. My answer is always the same - I love it! Being a first year teacher I don't have much else to compare it to other then a few terms in various schools on prac. There are a number of reasons why I enjoy this setting so much - it is great to watch the students move around the room during lessons - in any one lesson some of my students will move up to 5 or 6 times, yet they are always engaged. 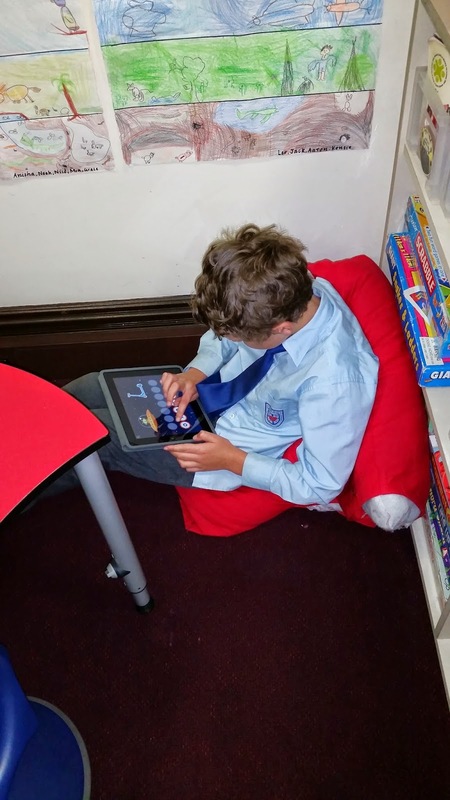 This constant movement also allows the students to work with peers that they would not normally have the opportunity to work with if they were stuck at the same desk all day, however, it also gives some of the more introverted students a chance to have some "me" time. I have also noticed a wonderful increase in my students' ability to make "choices" regarding their learning (keeping on task, sitting next to people who wont distract them etc). On top of this ability to move my students love the flexibility of the layout and the fact that they can move the furniture to suit their own needs - I really enjoy seeing the changes that the room goes through during a day - to me, this shows that the whole class was engaged throughout the day. Working with a small group on the floor. The Watering Hole is another area where students gather but this is with a smaller group. Usually this is used as a area to share information and ideas whilst guiding each other. My students often use the whiteboard tables for their watering holes. This allows them to write down key points or ideas that are shared and students can then use these at their own pace. If we are working with our MacBooks, there is always a watering hole in front of the Apple TV. This allows them to mirror their activity up onto the screen and share ideas or tools. It almost works a bit like a Genius Bar; an area where my students can go to ask for guidance from a peer. This is an area where students come together as a whole group to learn from an expert. This expert may be the teacher, a guest to the classroom, a student sharing their knowledge or even an online resource. If you were to look at a campfire in my classroom, traditional teachers may say it looks messy. This is because I encourage my students to be comfortable. Therefore, there may be some students sitting on the floor, some on stools or couches and others standing. As long as they are giving their full attention to the expert, I do not have a problem with this. This is an area where students go to work independently and consolidate their thinking. It may be at one of the single desks around the room or on a larger table where students are working independently from the people around them. 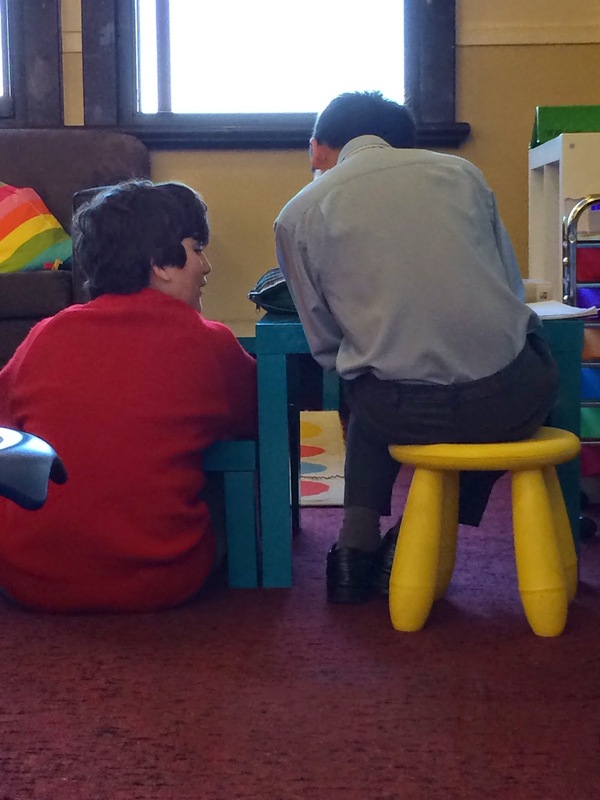 I often find my students tucked into corners, sitting just outside the classroom door on top of the stairs, sitting cross legged in the old chimney, lying on the floor behind the couches or working independently under tables. Due to them being comfortable in this environment, they move around and find spaces where they are going to stay on task and complete the assigned work.